Both Beaver Creek and Vail are expected to receive a shot of fresh spring snow this week. Deer Valley is topping Aspen this week with a ticket price of $180. Squaw Valley is at $179. Both of those resorts are owned and operated by Alterra Mountain Co., which is a sister company to Aspen. The Crown family of Chicago, 100 percent owners of Skico, holds a stake in Alterra. Breckenridge, which is part of the Vail Resorts empire, is charging $189 per day at the window and $179 if purchased online. All resorts offer discounts for multi-day tickets that are purchased in advance. Season passes also drastically reduce the cash outlay per outing. Vail Resorts and Alterra Mountain Co. are engaged in a season pass war designed to win over customers by providing access to multiple resorts. 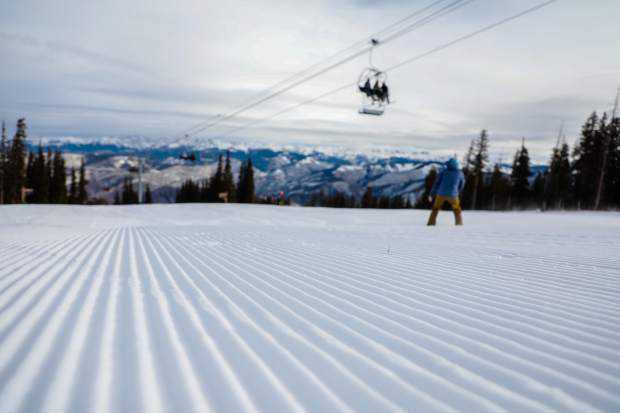 Alterra’s full Ikon Pass includes up to seven trips to the Aspen-Snowmass slopes. Vail charged $949 for its Epic Pass and Alterra’s charged $899 for its full Ikon Pass at the earliest deadline. Season passes accounted for about 43 percent of skier and snowboarder visits last season, according to National Ski Areas Association, a ski industry trade group. That figure is expected to increase as the pass war heats up.